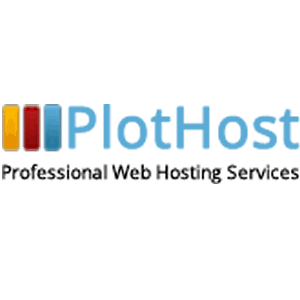 PlotHost is a multi-award-winning web host founded in 2008, located in Dallas, Texas, USA. Their key focus is on providing professional shared web hosting services. (However, in the future PlotHost plan on expanding into VPS and Dedicated servers). The company was formed by three professionals who had a dream of providing exceptional web hosting. They already had a tonne of technical experience to bring to the table when they created PlotHost. Their packages are created to offer feature-rich, low cost shared hosting services. Due to the focus on shared hosting, the company has niched down on providing web hosting for smaller websites. They say that they focus on forums, blogs, and regular basic website hosting. Although PlotHost is based in the US, they now have a worldwide customer base with clients in the UK, India, Australia, The Netherlands, and Turkey. PlotHost has 3 guarantees in various areas of their company, to give customers security and peace of mind. These are a 99.9% uptime guarantee, which is a great uptime guarantee. A 24/7 Customer support guarantee, to help you with any issues/questions you might have. In addition to these 2 guarantees, they also offer a 15-day money back guarantee so that new customers can try out their services 100% risk-free for two weeks. If for any reason they are not 100% happy then the customers can ask for a full refund inside this timeframe. PlotHost is dedicated to their customers and fully understand the importance of their web presence in the current marketplace. Because of this, they provide around the clock care, with a 24 x 7 technical support team that is ready to help with any problem that may occur. PlotHost say that they value each client as an individual and they really care if just one customer leaves them. The blog over at PlotHost is fairly extensive and more of a knowledgebase that has “How-tos” on various aspects of hosting with them, such as “Create/delete hosting packages in CWP” or their blog post “How to create FTP accounts in CWP”. PH doesn’t oversell any of their packages so that customers know exactly what they are getting with their shared hosting packages, and can keep track of the usage. PlotHosts has won many awards, over the past decade, for their affordable services, the quality of their packages and also the fact that they keep up to date with the latest advancements in hosting technologies. PlotHost provides cheap hosting packages that get even cheaper when you take into consideration that they offer a further discount of 2 free months when you pay for a year at a time. This is a service that their customers like a lot, where they pay for 10 months and get 12 full months of hosting. The deal is available across the board, so even the resellers that work with PlotHosts can take advantage of this great offer. The aim with PlotHost is to provide affordable web hosting that is accessible to all. Value for money and great features are at the heart of what PlotHosts do. All hosting with PlotHosts is based on Servers with SSD RAID 10 storage, which provides extra security and stability to their hosting platform. They also offer unlimited email accounts, unlimited databases, unlimited FTP accounts, free setup and site migration, and Softaculous. Softaculous is a fantastic resource with over 400 scripts that can be easily implemented by even the novice web enthusiast. Although PlotHost provides affordable hosting services, they also invest in the best hardware. Their data centers are based in the United States with RAID 10 storage, which makes their servers both fast and resilient at the same time. As well as this RAID 10 offers security at the hardware level due to the fact that it combines two levels of storage and also offers mirroring to duplicate data, and keep it secure. RAID 10 is also faster than other HD storage systems due to its configuration. PlotHosts also make sure that all servers are secure by installing the latest software such as a ConfigServer Firewall. For all of these reasons, the technical expertise, US Servers as well as the latest hardware and software, PlotHosts can offer a hosting experience that is both secure and stable. All of the shared hosting packages on PlotHost come with Unlimited FTP Accounts (FTP, SFTP), Unlimited MySQL Databases (w/ phpMyAdmin), Unlimited Emails, Autoresponders and Softaculous Premium that allows one-click install of many apps (400+ apps). As well as all of this PlotHost offers FREE Migration / FREE Setup and 24×7 Support / Server Monitoring. PlotHost offers top quality reseller hosting plans that are customizable, for customers who want to run a small hosting business or sell hosting to their web design clients. Their plans offer great value for money and come with Web Host Manager (WHM) where you can manage your cPanel accounts. 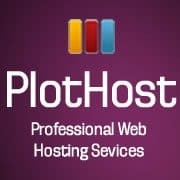 All of the Reseller hosting plans with PlotHost come with FREE Migration / FREE Setup, 24×7 Support, and Server Monitoring, unlimited cPanel Accounts / Domains, unlimited FTP Accounts (FTP, SFTP), MySQL Databases (w/ phpMyAdmin), unlimited emails and autoresponders as well as Softaculous Premium (400+ apps). As well as offering their standard hosting packages, PlotHost allows their customers to tailor their plans to suit their individual needs. This is great for people who may require some additional bandwidth or SSD Space during a marketing period for example. Customization is also particularly useful for their reseller accounts. PlotHost offers some great flexible hosting packages for their US and global client base, and have an impressive list of awards to show for it. Their focus on delivering exactly what the client requires, even if it means they have to go the extra mile is impressive. The 24 x 7 support is great for all users, especially for those who don’t have as much technical experience, or for their resellers who might be hosting multiple sites with PlotHosts. Their comprehensive support takes the frustration out of tech issues and providing proactive support in a timely manner, just when clients need it!